WASHINGTON: US Secretary of State John Kerry has proposed a 20 per cent cut in the American aid to Colombo, a move reflecting the unease in their ties over issues related to human rights, reconstruction and political integration in Sri Lanka after the end of the civil war. It is believed to be the highest drop for any South Asian country in Kerry’s budgetary proposals which was sent to the Congress last week for its approval. In actual term, Kerry has proposed a USD 11 million in aid to Sri Lanka, which, according to a senior State Department official, is a “drop of 20 per cent” from the actual spending in the 2012 fiscal. “This reflects both the fact that we had difficult time in programming a lot of our money in Sri Lanka. We tried to do a lot in the North to help the IDPs and get back to their normal life and support reconstruction efforts there. But in several cases we had programmes that we were trying to support, to which the government – the military got quite involved in them and so we were not able to pursue those programs,” a senior State Department official told PTI. “So we made a decision that Sri Lanka as a middle income country, and in a country where we are having difficulty in programming, that is a place where we should probably cut that have a lot of own resources,” the official told requesting anonymity as he was not authorized to speak to the press. While the actual US development assistance to Sri Lanka in 2012 was USD 8 million, Kerry has proposed about USD 6 million for 2014. Kerry has proposed similar amount of development assistance to Bangladesh from USD 81.6 million in 2012 to USD 80.9 million in 2014. 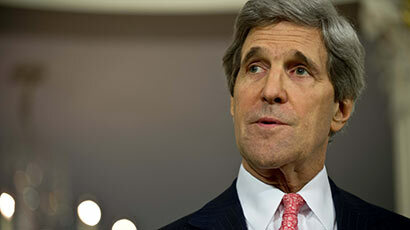 Kerry has proposed substantial increase in US aid to Maldives – Sri Lanka’s neighbor. Majority of the US fund to Sri Lanka would go into key projects related to judicial reform and increasing Maldives counter-terrorism efforts. “India and the US are working closely on Maldives,” the official said.